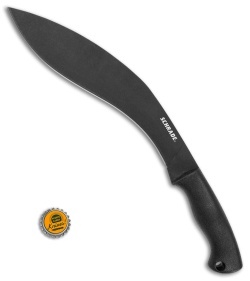 This Schrade Gurkha Kukri Machete features a classic curved Kukri style blade with a grippy molded polymer handle. 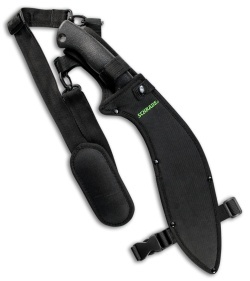 The blade is made from stainless steel with a durable black finish. The large flat-ground blade will make light work of any chopping or hacking chores that come your way. Item includes a heavy duty nylon sheath with an optional shoulder harness.